Greenwood explains the parts, how they work and why they’re distinct in the application filed 136 years ago. When Chester Greenwood came up with his famous invention 136 years ago, he had to protect his idea by filing paperwork on his invention, titled “Improvement in ear-mufflers,” with the U.S. Patent and Trademark Office. 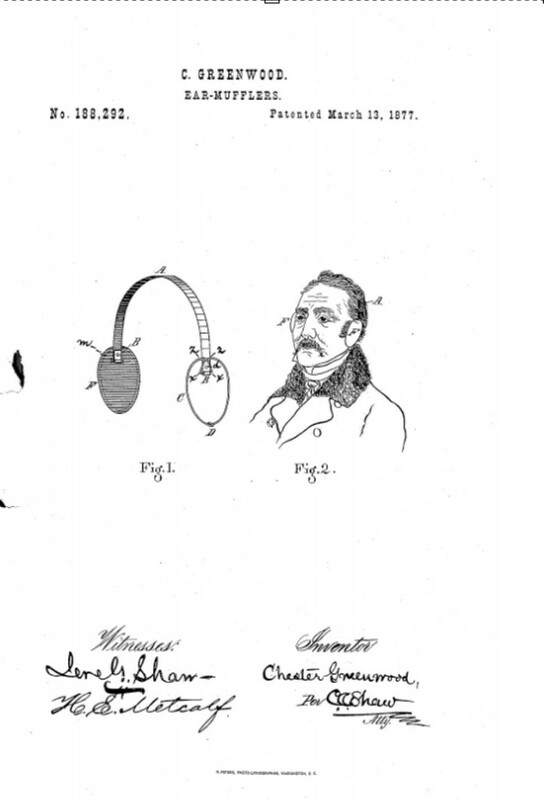 “Be it known that I, Chester Greenwood, of Farmington, in the county of Franklin and State of Maine, have invented certain new and useful Improvements in Ear-Mufflers, of which the following is a description sufficiently full, clear, and exact to enable any person skilled in the art or science to which my invention appertains to make and use the same. Greenwood then goes on to explain, in five paragraphs, the specific parts of his device and how they worked, with frequent references to a drawing he submitted with his application. Greenwood then explains how the parts come together to make his ear-warming device work.